In 2013, director and producer Francis Whately came out with the documentary David Bowie: Five Years which focused on five crucial years of the artist’s life in the ‘70s and early ‘80s. Now, as a follow-up to that comprehensive BBC doc, Whately has made a companion piece titled David Bowie: The Last Five Years, which of course documents the final period of the chameleonic artist’s life before his death on Jan. 10, 2016. 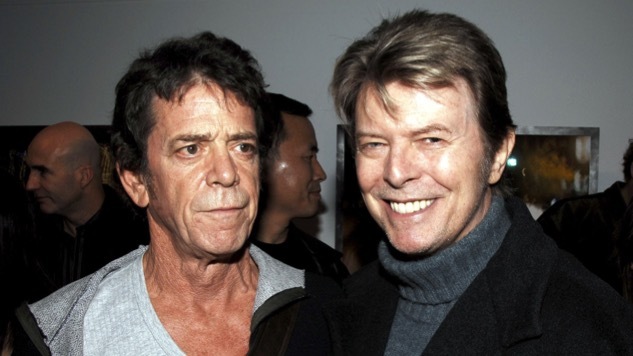 For the American release, the film will air on HBO and features interviews with: longtime producer Tony Visconti, Robert Fox (producer of the Lazarus stage show), Lazarus cast members and musicians who worked on Bowie’s final albums The Next Day and Blackstar. In summating it, HBO says the doc has “unprecedented access to Bowie’s closest friends and artistic collaborators” and is a “tribute to one of the greatest rock icons of all time,” per Deadline. There’s no firm release date yet for the film but it’s likely airing sometime in 2017. While you wait, watch the still great and still moving clip for the song “Lazarus” from the aforementioned Blackstar, beneath Paste Cloud audio from a 1987 Bowie show.